For fourteen years I walked with my dog Tidbit leading my way. On June 30th she passed away from cancer complications and when putting her out of her pain, I promised her several things. One of these promises was that I would honor her life and open my heart and home to other dogs, even though I doubted at the time whether I could really keep that promise. The day I picked my Tidbit's cremation remains up from her vet, I drove straight to the Franklin County Humane Society, walked in, and said, "I just picked up my dead dog's ashes and I need to walk a dog." With Tidbit in my tote bag, I walked a rascally pup and it was just what I needed to help me smile amid my tears. But, it was a quiet dog standing at his kennel door who caught my attention that day. I inquired about the hound dog. He was heart worm positive. I followed his story as I walked dogs a few more times at the shelter. 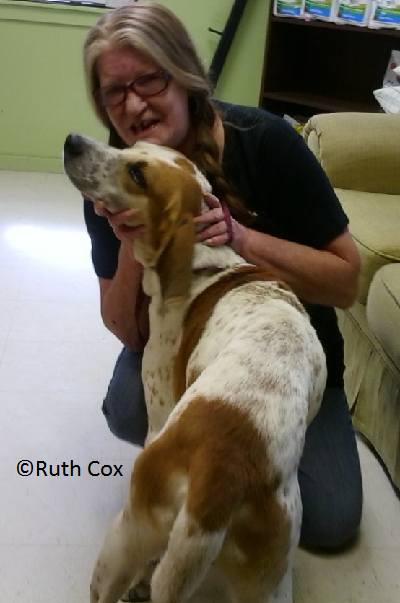 My desire to rescue led me to want to foster dogs, like the hound, that others might not want. 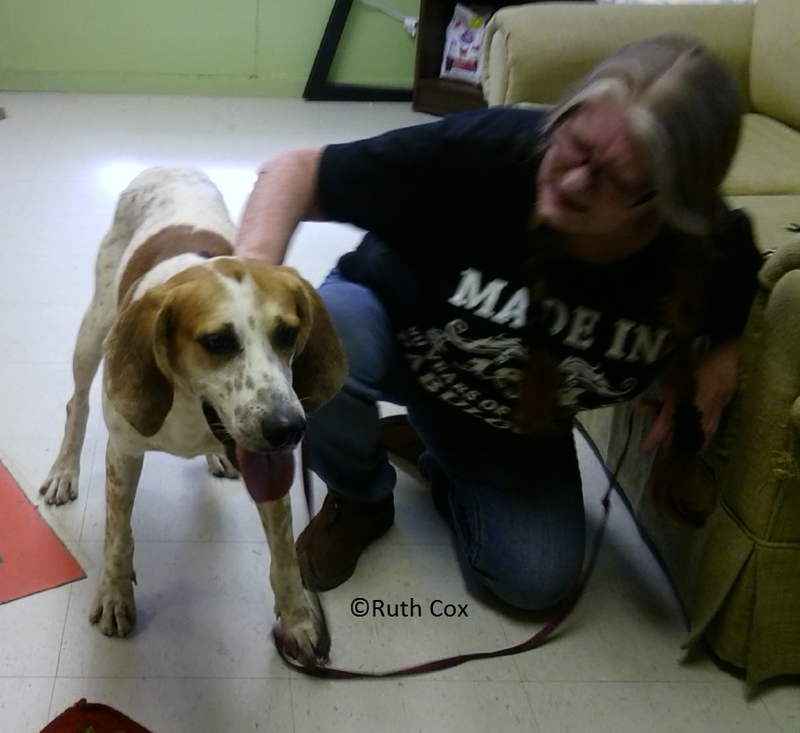 I wandered through my grief in search of fostering or even adopting and in a roundabout way, was led right back to that sweet hound, even though I had revisited the shelter to take a look at a different dog. Today, I spied the hound across the kennel area right away and he was gazing right back at me. I knew then and there that I loved him, probably had since I'd first met him. The shelter lady was happy as could be that I chose to walk him. And so was he. We walked and talked a long while. When finished I was ready to take him home with me for sure. Introducing Valentino, so named because he arrived at the shelter on Valentine's Day. 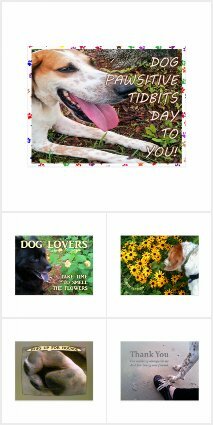 A dog of Love ... Perfect! We took a few photos today, although my fella didn't really want to pose for the camera. He was too busy sniffing around the office, ha! 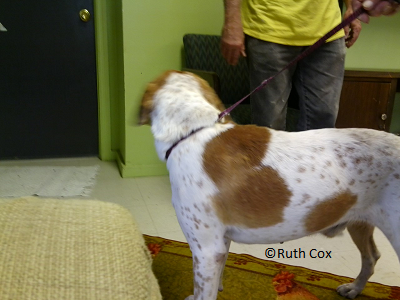 You can see Valentino has Redtick Coonhound and/or Foxhound blood in him from our pictures. He is between two and three years of age and full of energy to keep me feeling young. I feel as though he has been waiting for me, through his heart worm ordeal, while waiting for me to heal from the pain of my loss of my dog Tidbit. The rest of our healing journey shall be spent walking side by side together. As it turned out, Valentino has to be neutered before he can be fostered or adopted. And he still tests positive for heart worms so he still has a little ways to go in his own healing journey. But... He's on the neutering schedule and then Valentino's coming home with me!